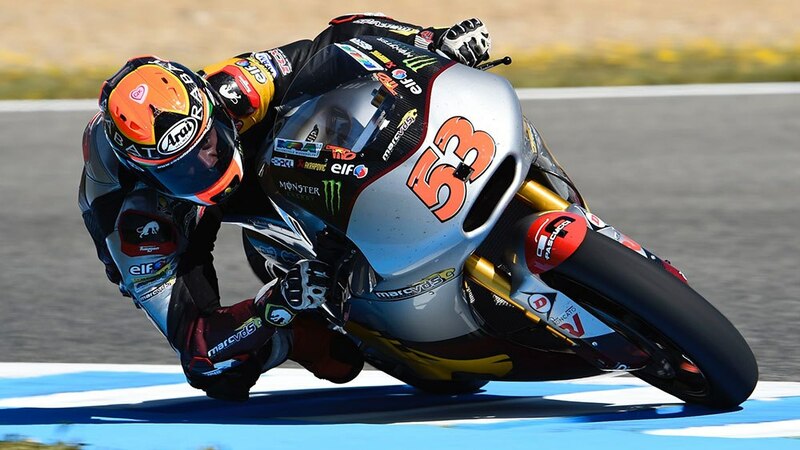 Tito Rabat’s 2014 championship winning Moto2 bike stolen | IAMABIKER - Everything Motorcycle! In the early hours of the morning on Wednesday 16th August thieves broke into the Marc VDS workshop in Gosselies, Belgium and stole the Kalex Moto2 machine on which Tito Rabat won the 2014 Moto2 World Championship title. The theft happened at around 2 am and the championship winning bike, which was on display in the workshop reception area, was the only thing of value taken. The bike is in the team’s 2014 livery and features the #53 plate that Rabat ran that season. For our international readers – If anyone is offering the bike for sale, or has any information on the theft, then please call +32 (0)71 35 69 32. All calls will be kept confidential.